We did it! Big-Dig, done! 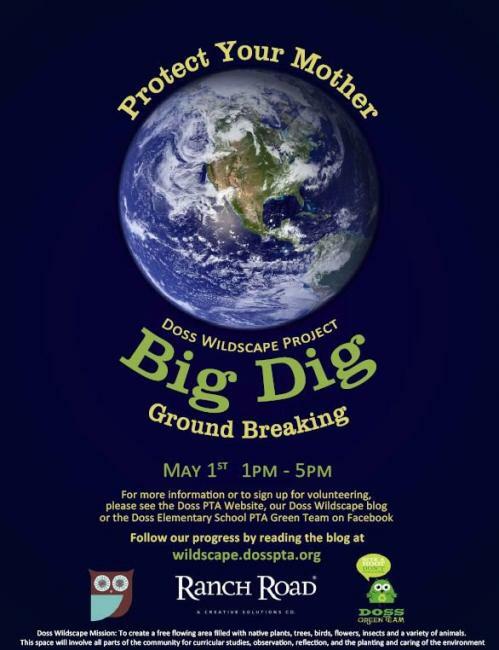 Our blog says it all, go to www.wildscape.dosspta.org and read all about it. 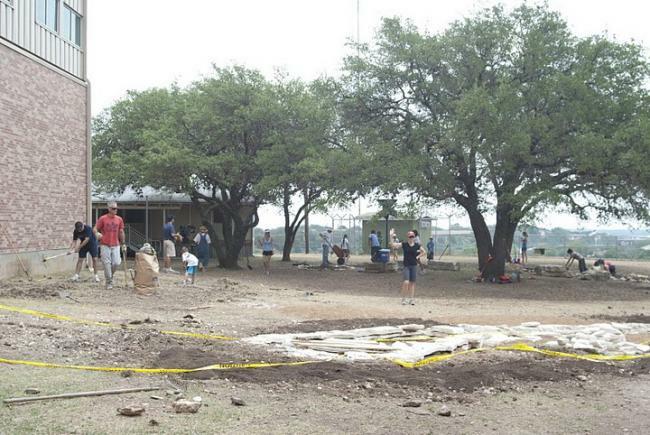 The groundbreaking of the newly named OWL (Outdoor Wildlife Learning) Center is complete! We had a grand showing with over 100 volunteers Saturday through Sunday. This included 30 people Saturday to support Eagle Scout, Dallin, and his families and friends, Girl Scout Troop 1215 and the 60-70 Doss supporters. When you have some time, come check it out! We have a reflection area and new flower beds, and we have a pond and dry creek bed in progress. There are only a few plants out there right now, but many more will be coming in the fall. We hope everyone realizes the uniqueness of this project. 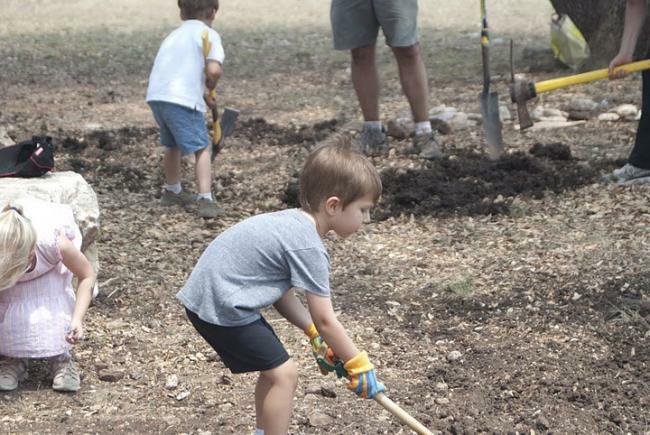 A sustainable garden on campus where our children can learn and play is rare. 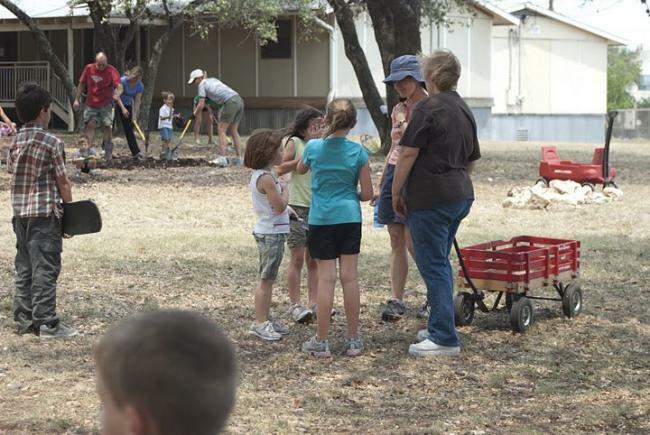 What they learn here can transfer to their homes and to their lives—look for lesson plans based on this area and encourage your families to spend time and enjoy nature! We would like to thank all of the generous organizations that have donated their time and materials to make this project possible! 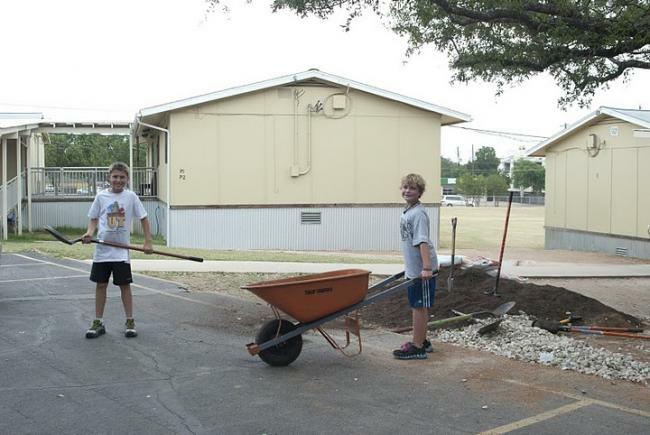 Future Doss students and siblings pitched in to help. Doss students gathered medium sized rocks to use as borders around the newly dug flower beds. 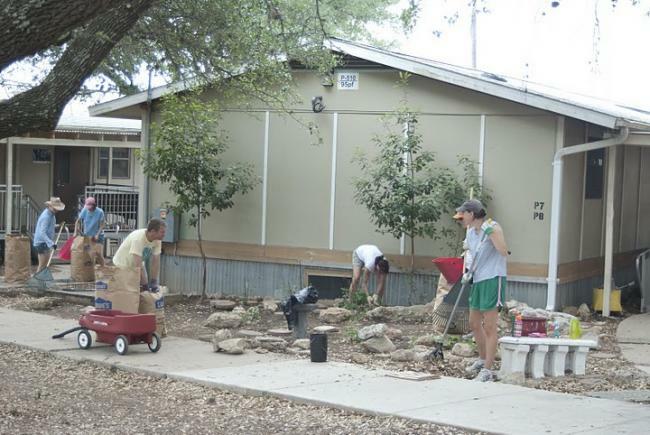 Doss parents cleaning up the September 11th rock garden. Breaking ground according to the plans! 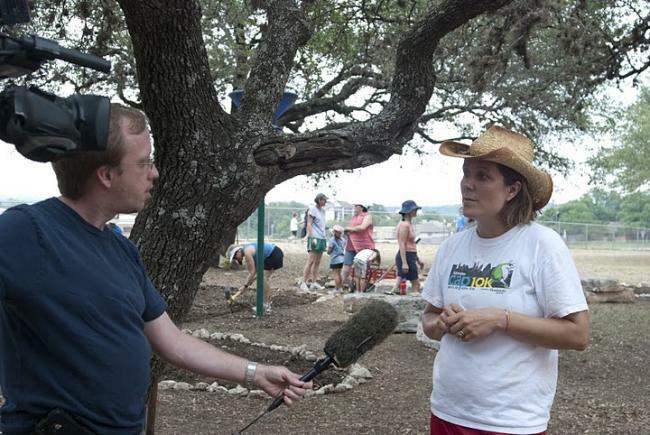 Green Team Co-Chair, Kelly Rizk talks about the Doss Outdoor Wildlife Learning Center to KXAN.